"The Best Waters Where You Should Dive in"
Malapascua Island is a tiny famous island in the Visayan Sea of Central Philippines. 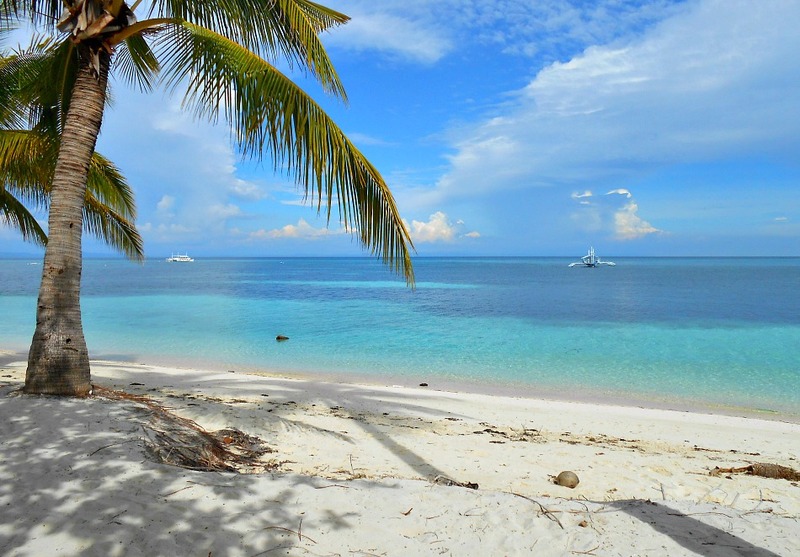 Malapascua is located at the northernmost tip of Cebu Island, Daanbantayan Municipality, Cebu Province, the Philippines. It has been said that it is discovered fairly recently as a diving destination. 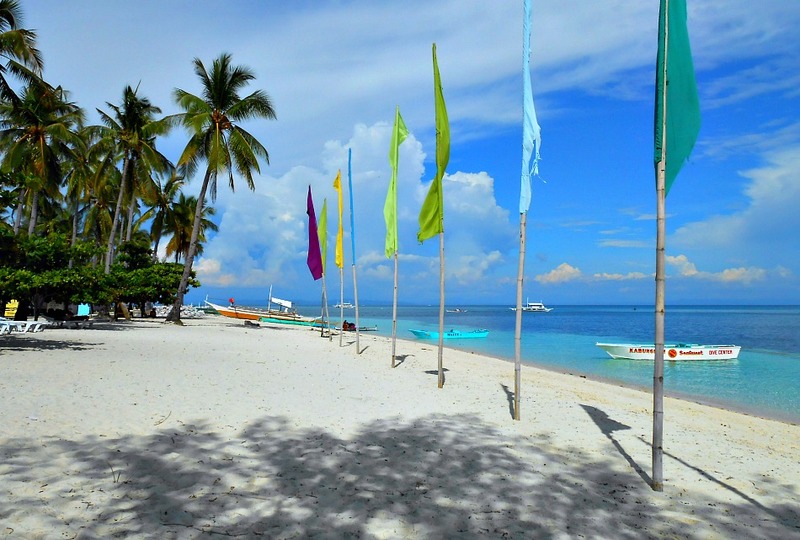 Just like most islands in the Visayas, Malapascua has great white sand covering its pristine beaches. It is just about 2.5 kilometers long and a kilometer wide. You can walk around the island to fully circumnavigate it, or you can ride a bike, hire a motorbike or take a boat. When I visited this beautiful island last year (August 2013), I hired a motorbike to see the best places I wanted to see, such as the Bantigue Cove area. I should walk around the island next time to fully experience and enjoy the whole place. Thresher sharks and beautiful coral gardens made this small island known. Diving is almost synonymous with this amazing island. You will notice that there are a number of great services that provide you facilities to experience the underwater world of Malapascua, which is actually popular not only among locals but also foreign water activity enthusiasts, especially scuba divers. Many dive resorts here provide formal and on spot classes and lessons on diving. These are mostly provided in the English language since most learners are coming from various countries who are fluent in this language. Of course, they have complete PADI learning materials and diving equipment that you can avail depending on your package deal or any. 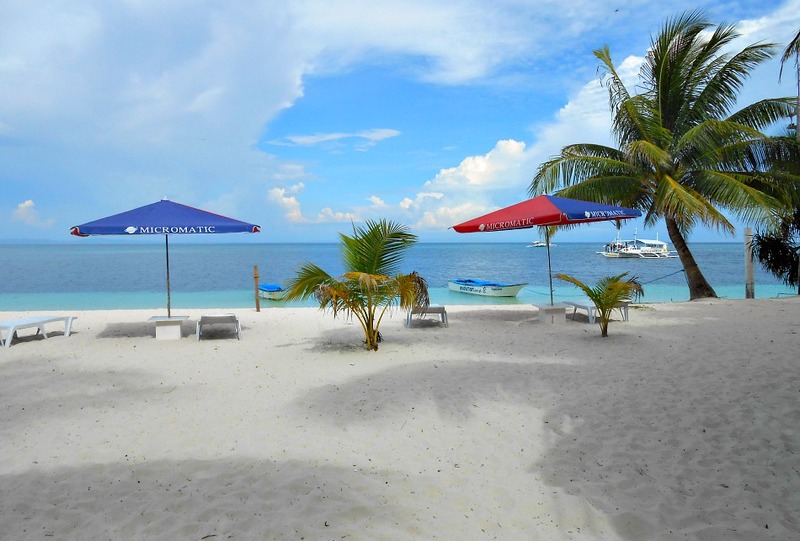 Bounty Beach is one of the famous white Malapascua Island beach areas. It is where most of the high-end and popular resorts and dive shops can be located. I don't exactly know the story behind the name of this particular beach on this island. However, I am willing to guess that it is called by such name because it is a "bounty" if you come to this place with a bit of hardship (probably traveling that far) and getting rewarded with this beach's beauty--white sand, blue sea, great view of the horizon, among other things you could describe in words. Due to the devastating tropical typhoon Haiyan/Yolanda in late 2013, you can see some scars left behind (cut off coconut trees and trees). However, the beach stays the same and most resorts and travel facility providers are back to normal. Being an island far from the main island of Cebu, you can imagine Malapascua like a gem in the middle of the blue ocean. Being as such, you can find amazing dive sites provided by the colorful corals and everything the live symbiotically with them – angel fish, mantis shrimp, damsel fish, anthias, giant frogfish, painted frogfish, sweetlips, cuttlefish, lionfish, candy crabs, zebra crabs, snakes eels, moray eels, juvenile batfish, shells and cowries, mackerel, soft and hard corals, and all colored sea creatures. Nearby Malapascua Island, resorts and dive shops provide services that bring guests to the popular island and dive sites. Such places include Monad Shoal, Kemod Shoal, Deep Rock, Lapus Lapus, Lapus II, Calanggaman Island, Lighthouse, Nunez Shoal, Gato Island, Dona Marilyn Sunken Ship, Maria’s Point, Chocolate Island, Bantigue, Deel Slope, Maripipi, Sambawan, Dakit Dakit and more sites. In Monad Shoal, you can find an underwater plateau where bigger (and scarier) creatures frequently roam – the famous thresher sharks and the manta rays of Malapascua. Many threshers and manta enthusiast would go that far to get what they are looking for and would return home satisfied and loaded with happy memories! If you are a diving enthusiast and a serious one, then you are at the right place. However, if you are just learning the ropes of scuba diving, you can also enjoy diving at its basic level since Malapascua has its resorts that provide diving lessons with their expert and professional trainers. Can you snorkel? That's a good start then. If you are on this island, Monad Shoal is your destination as an expert diver. It is just about 20 minutes from the island by pump boat. This is where you can find thresher sharks, devil rays, eagle rays, manta rays, and hammerheads. But, don't get disappointed if some of these creatures won't appear as you expected since some occur only seasonally. 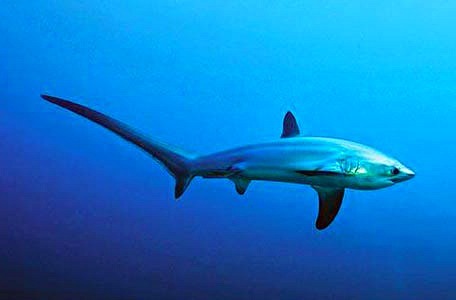 The thresher sharks, however, are regular creatures that appear every morning from the deep waters to the top of Monad Shoal – an underwater plateau where these morning risers come to meet the cleaner fish to rid of their parasites and dead skin – somewhat akin to the spa or massage treatment. It is said to be the only few places in the world where you can find these majestic sharks almost every day. Dive experts say or classified Monad Shoal as an intermediate dive, but most dive shops in the area require divers to have certificates on an advanced open water diving lessons. If you haven’t earned such certificate yet, you can always learn from any of the dive shops on the island itself including the Thresher Shard Divers, Sea Explorers, Exotic Resort among others that flock around Bounty Beach area. Of course, you need to be armed with gears for scuba diving when you are on the island, especially when you are determined to dive into its waters and explore its beautiful creatures. You have many choices of dive shops on the island that can provide whatever you need for your diving needs. Most of these dive shops are managed by both foreign and local operators. The dive shops offer various services and facilities including accommodation, food and drinks, boat trips, diving gears, dive lessons, online preparatory lessons, island tours, among others. In terms of accommodation, you can have various choices depending on your preferences and may also depend on your length of stay. For example, diving learners, in some resorts, stay separately in a cottage where they have their own privacy and can prepare their own meals to save more financially. However, you may also decide just to have everything prepared for you and stay with your group in a dorm style accommodation. When you register for the lesson, most dive shops include everything as a package – gears, boat trips, lessons, etc. Of course, the rate and inclusions in your package totally depend on the level of lessons you want to earn. After your formal academic lessons inside the dive shop’s appointed spaces, you will always be taken out into the sea in a specialized diving boat for actual application of the lessons and theories you have just learned. Most dive shops generally offer courses in English, but others also offer them in other languages, such as French, Dutch, German, or local language. Therefore, you if you prefer to learn diving lessons in a particular language, you maybe have to find them, and it might not be available in Malapascua but in other places in Cebu such as Mactan Island. Regarding food and drinks, at dive shops, they offer various choices of menus and dishes from both local and international backgrounds. Meats, fishes, veggies and fruits are available, but rates could be higher compared to other places as the island have to bring in products not available or produces locally. Aside from the dive shops, you can also eat out at other restaurants nearby that specialize pizza, spaghetti, fish or another menu. Drinks and other hard liquors are also available at bars in some resorts and dive shops that sell international branded alcohol products. The name ‘Malapascua’ can be literally translated from Spanish to mean ‘bad’ (mal) and ‘Easter’ (Pascua). Legend has it that when the Spaniards traveled in the Visayas, they got stranded on the island on Christmas Day due to bad weather condition on December 25, 1520. They got stuck there for many months with only limited provisions and ailing sailors. Whether the anecdote of the island is true or not, no one knows exactly its origin, and nobody can confirm it as such. However, stories may not always tell what exactly happen or the fact, they point to something that exists that cannot be pinpointed or comprehended easily. Also called Barangay Logon, Malapascua Island has been influenced by Christian religion just like almost all parts of Cebu Province. Know that even before the coming of Catholic missionaries, various native Filipinos had their own traditional belief system. They believe in spirits that live in nature, such as the spirits (or gods) of the mountains, rivers, seas, trees or forest. This traditional belief has made the locals quite receptive to the Christian faith being spread by Christian missionaries (Spanish Catholic missionaries) in the 15th century. The belief of spirits that animate in nature made it much easier for locals accept images that may represent or symbolize spirits or gods that have power over nature and people. It is not uncommon to hear miracle stories in many parts of the province (or country), and Malapascua is not exempt from it. In Barangay Logon, also known as Malapascua Island, it is believed to be the place where Virgin Mary had a miracle sometime in 1890. The island had only a few households when the miraculous Virgin, called the Virgen de los Desamparados, was an image made of wood that was never burnt despite the fire that consumed where it was kept. According to the entries at Wikipedia, the Our Lady of the Abandoned (Virgen de los Desamparados), also called Nuestra Senora de los Desamparados, is a Catholic apparition of Virgin Mary that first occurred in Valencia, Spain. The Virgin made as patroness of Valencia, and she appears to be holding a lily in one hand and carries the baby Jesus in the other arm who bears the cross in his arms. In Valencia, her image is housed in the ‘Basilica de la Virgen de los Desamparados.' Due to the Virgin’s slightly tilting forward posture, she is affectionately known as the hunchback (‘geperudeta’) of Valencia. The parish priest of Daanbantayan (formerly called Kandaya) in 1907 baptized the image upon the people’s request. Stories handed down have it that the size of the miraculous image is not its original size and it is growing. Due to such belief, devotees from various parts of the country and abroad come to worship especially during the Virgin’s feast days on May 11 and 12. The church that houses the image was originally built with coconut tree materials but is now made of concrete, steel, and sturdy galvanized iron roofing. This is done, aside from protecting it from natural elements, it is safe from being stolen or desecration from other bad elements – such as fanatics, thieves, and anti-believers. 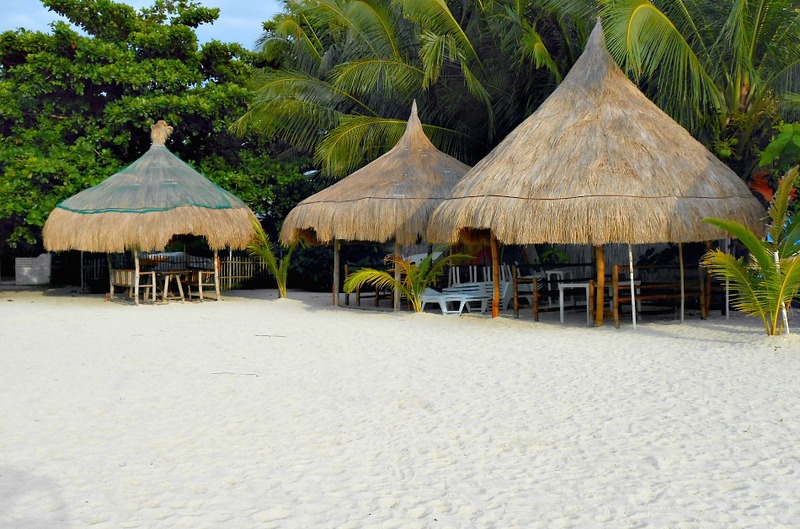 You can stay on Malapascua Island as your base during your travels and adventures. Now, if you really want to explore and see more of the island’s surroundings, you can visit beautiful and white sand islets via boat trip package which is usually offered as a day-trip event. Lapus Lapus Island. For divers, the waters of Lapus Lapus Island is an easy dive for beginners, but you can find soft corals and hard corals, lionfish, colorful nudibranchs and other interesting sea creatures in their pristine condition. It is basically a place for scuba diving located on the northwestern side of Malapascua. Calanggaman Island. It is a beautiful island with some vegetation, but above all, it has an amazingly beautiful long stretch of white sand beach. It is popular among island day-trip enthusiasts to enjoy a day picnicking, sunbathing, snorkeling and swimming. Scuba divers can also explore the island’s wall which is bedecked with corals, interesting Pygmy seahorse, and all sorts of fishes and marine life. Gato Island. 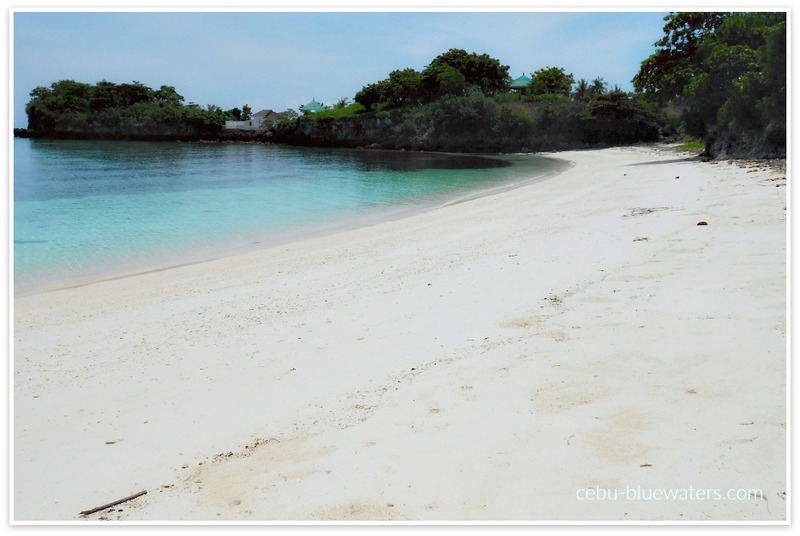 It is an island reachable by boat within 45 minutes from Malapascua. It is famous among divers and frequented by dive shops to have their students practice diving and observe sea snakes, whitetip reef sharks, and other life forms. Gato Island is also popular for its small caves, rock formations, and tunnels where scuba divers enjoy exploring the underwater world. 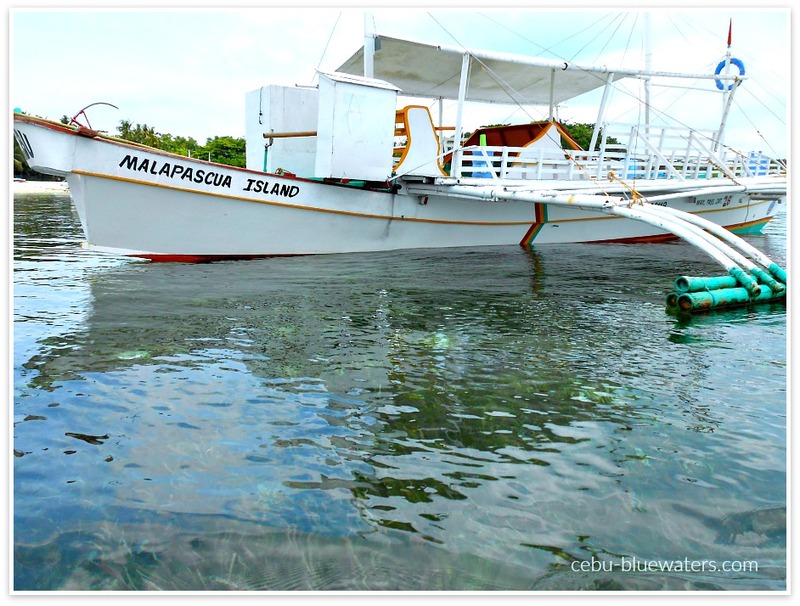 From Cebu to Malapascua Island, you may choose from the following transports available to get to Maya Port where you have to get the pump boat (outrigger boat) to Malapascua Island where you can find Bounty Beach Resort. Take a bus (aircon or non-aircon) from North Bus Terminal in Cebu (around 7 kilometers from Mactan Airport). Any of the two popular bus companies, Ceres and Rough Riders, can take you to Maya Port in about 4 hours. Relax, because you would surely enjoy your ride, just as I did since the highway is just by the seaside. These buses run every 30 minutes and would usually make stops in various places and specially at their bus stations where you can take a few minutes of break to go to the washroom, buy something refreshing or just stretch your legs down. The aircon bus cost about PhP190 and lesser for the non-aircon one. The aircon bus has video shows (usually action movies) and some even have WiFI service. If time is very limited for you, you can hire a taxi that will bring you to Maya. Make sure you have some ideas of the fare and try to deal with the driver before taking off. The taxi/private care fare would be around PhP2500 from Cebu, Mactan-Cebu International Airport or hotel to Maya on one way basis. Getting to Maya taking taxi or private car could take 3 hours or less. If you booked a resort on Malapascua, there's a great possibility that your resort will welcome you with their service car, if you prefer to. However, you need to pay an additional charge for that service, which is cheaper than taking a taxi. The advantage in taking this offer is your comfortable transfer from the airport or anywhere in Cebu. Maybe, a lot safer too. Basically, it is that easy to get there. 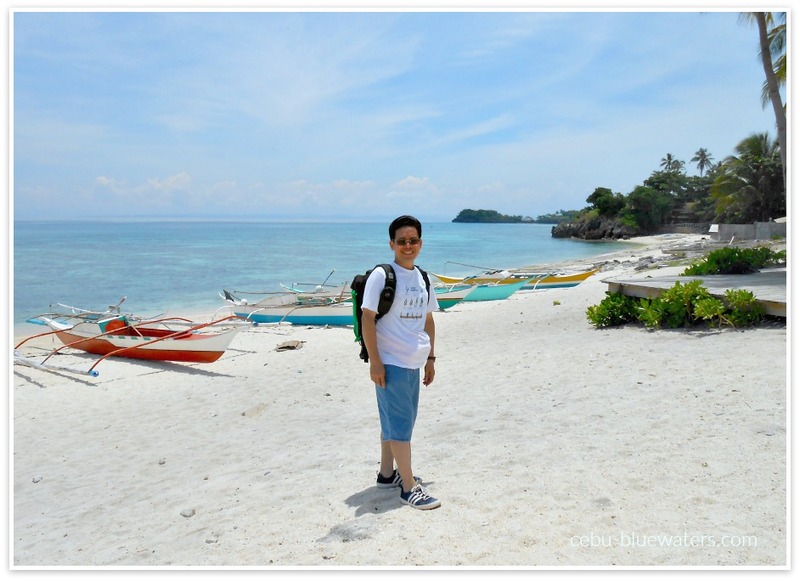 For a more detailed guide, you may click this link on the how to Getting To Malapascua Island. Cash and Credit Card. Both methods are possible on Malapascua Island but it depends on to whom or what you are paying to. It simply means that you can pay in cash to all transactions you make but not always with credit cards. Specifically, you can use credit cards in most dive shops and such businesses frequented by foreign guests, or businesses being managed by expats on the island. In most cases, such as when purchasing small things at stores, paying at local restaurants, or renting motorbikes only cash payment works since small business people do not or cannot afford to acquire such service. Moving On or Around the Island. There are many travelers who prefer to explore every corner of the island walk and interact with locals. It only takes about 2 to 3 hours to go from end to end of the island. However, if you want to explore faster and with less energy input, you can always rent scooters or motorbikes being rented by locals. Or, you can hire a driver to take you around the island or to any place you wish to see in particular. Another interesting method to explore the island is through taking a Bangka (motorboat) and circle the island to see it in a different perspective. This service is being offered by local boat operators, and you would not miss them since they will approach you directly and offer their service. If you are interested in taking that opportunity make sure you know how to bargain with the boat operator. Don’t forget your camera! Safety. Keep your belongings in a safe at all times as you do at every place you go. The islanders are friendly and hospitable, and they are always willing to point directions. They are native Cebuano language speakers; however, many of them can also speak basic English while some are fluent at it. Events. Aside from the travel activities, the locals also organize a number of communitarian fun activities. One of these are the religious festivities especially those on church’s patron saint day’s celebration. When the season is high, a disco is being held every Saturday night. Another interesting activity or past times among locals is cockfighting, which is usually being played by men. Please, let us know if you need further information in getting to Malapascua and finding Bounty Beach. Most of the resorts listed below are close to Bounty Beach resort itself. Thank you so much for the visit and you find Malapascua Island Beach Resorts page useful to your search.